Posted on 01/10/2017 by Mickey McCarter	in Live Review and tagged Brainfeeder, electronica, funk, hip hop, jazz, soul, Thundercat, U Street Music Hall. Next month, Thundercat (born Stephen Bruner) will kick off a live US tour, and he stops in DC at U Street Music Hall on Sunday, March 5. Posted on 01/03/2017 by Mickey McCarter	in Live Review and tagged Black Cat, conga, jazz, latin, New Years Eve, Peaches O'Dell, Peaches O'Dell and Her Orchestra, swing. I arrived late to the show on Saturday (due to another commitment), but I still managed to catch some tunes in the last set by Peaches O’Dell and Her Orchestra at the Black Cat’s New Year’s Eve Ball on Saturday. Posted on 12/23/2016 by Mickey McCarter	in Live Review and tagged Black Cat, DJ Dredd, jazz, lounge, New Years Eve, Peaches O'Dell, Peaches O'Dell & Her Orchestra, rhumba, swing, tango, Tony Anthony & His Malvivants. 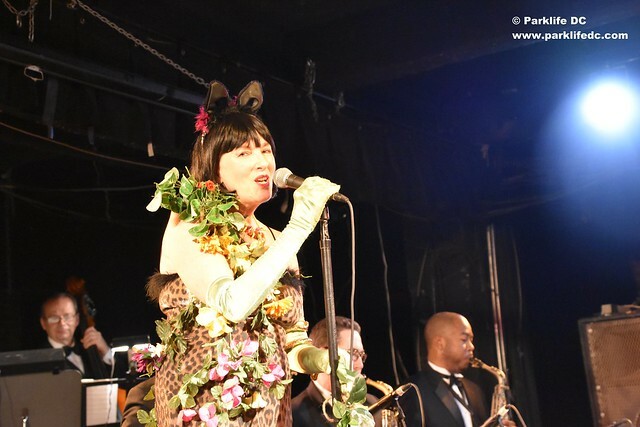 For 23 years on New Years Eve at the Black Cat, Ms. Peaches O’Dell leads her big band through classic dance numbers from the ’20s to the ’50s. And every year, it’s a hit that cultiminates in a famous conga line. Come out to the Black Cat, where Peaches O’Dell & Her Orchestra will do it again this year! Peaches and company roll through Latin dance classics, swing, jazz, and more. You can check out some live recordings on YouTube, which are presented in a quirky retro style that captures her taste and style. “My ultimate goal is happines and celebration for one and all through some remarkable music and crowd energy,” Peaches said in an email to Parklife DC. Lounge act Tony Anthony & His Malvivants will provide entertainment between sets when Peaches and Her Orchestra take a break. Downstairs in the back stage, DJ Dredd provides more contemporary entertainment. Metrorail will run until 3am on New Year’s Eve, and the Black Cat is conveniently located a few blocks away from the U Street Metro Station. Make plans to dance the night away with Peaches O’Dell & Her Orchestra. Posted on 09/27/2016 by paivi	in Live Review and tagged Dave Grohl, jazz, Lincoln Theatre, National Museum of African American History and Culture, New Orleans, NMAAHC, Preservation Hall Jazz Band. Preservation Hall Jazz Band performs at Lincoln Theatre on Friday, Sept. 23, 2016. Preservation Hall Jazz Band was in town for National Museum of African American History and Culture (NMAAHC) opening festivities. 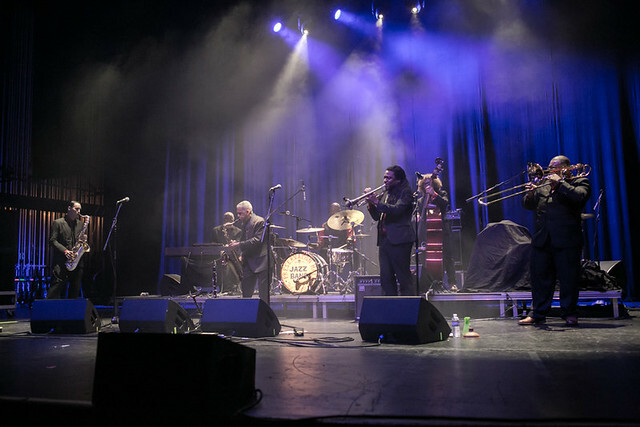 Following their Friday show at the National Mall, the audiences at Lincoln Theatre were treated to a second helping of New Orleans jazz. As a special guest later in the show, none other than Dave Grohl walked onto the stage to play a second set of drums. When the encores were done, the music never ended: part of the band including Mr Grohl walked out of the theatre in a New Orleans style parade. The performance continued across U Street toward the Black Cat, followed by the enthusiastic crowds. Posted on 09/22/2016 by Mickey McCarter	in Live Review and tagged Ben Jaffe, jazz, Lincoln Theatre, National Museum of African American History and Culture, New Orleans, NMAAHC, Preservation Hall Jazz Band. Lots of great music is coming to town this weekend to celebrate the opening of the National Museum of African American History and Culture (NMAAHC)! Although they are not part of the actual music festival occurring at the NMAAHC, the Preservation Hall Jazz Band appropriately arrives to play in honor of the museum’s launch. The Preservation Hall Jazz Band makes its home base at, of course, Preservation Hall in New Orleans. The Hall was a rare space in the South where racially integrated bands and audiences would share music together during the Jim Crow era. 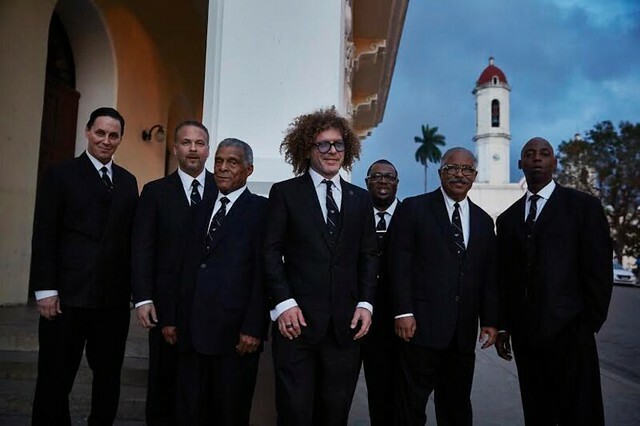 Now, join Ben Jaffe, the son of the founders of Preservation Hall, and the band at the Lincoln Theatre on Friday, Sept. 23 for a jazzy cool show, as they protect, preserve, and perpetuate traditional New Orleans Jazz. Posted on 09/06/2016 by Mickey McCarter	in Around Town, Live Review and tagged acrobats, Cabinet des Curiosities, Cirque du Soleil, comedy show, Eirini Tornesaki, electro-swing, jazz, KURIOS, McLean, steam punk, Tyson's Corner. A Seeker, a scientist who invents a machine to travel dimensions, encounters various magnificent creatures on a journey across space, introducing him to wonders that surprise him. Those encounters unfold as magnificently choreographed scenes across 13 acts, which mix unparalleled acrobatics with cheeky comedy and leave you gaping at in wonder at the gymnastics possible by highly trained athletes in KURIOS, Cabinet des Curiosities, by Cirque du Soleil at Tyson’s Corner in McLean, Virginia, through Sept. 18. 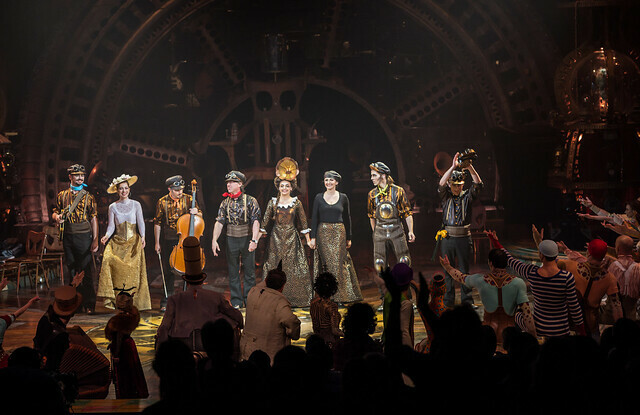 Let me take a moment to impress upon you that this show will truly amaze. But let me first set a crucial element of the scene for you: the music. Posted on 08/01/2016 by Mickey McCarter	in Live Review and tagged Bethesda Blues and Jazz Supper Club, big band, Dave Damiani, jazz, Molly Ringwald, The No Vacancy Orchestra. 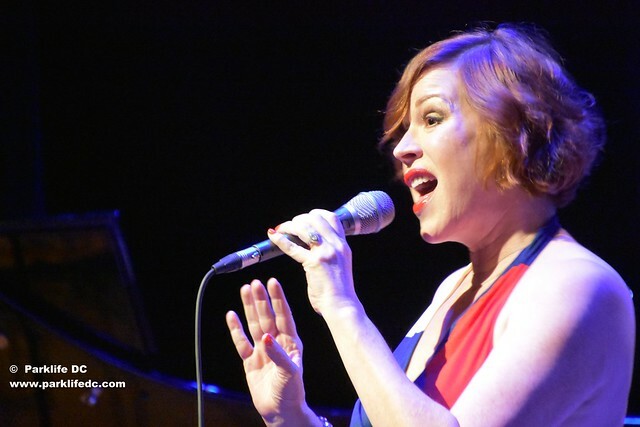 Dave Damiani & The No Vacancy Orchestra welcomed a very special guest to its residency at Bethesda Blues & Jazz Supper Club on Thursday –- the irrepressible Molly Ringwald, Gen-X “it girl” and all around charming woman. Singing jazz and big band standards, Dave and Molly along with The No Vacancy Orchestra, which included some players from our local Airmen of Note, entertained an attentive crowd. Dave kicked things off with early songs like “Nice ‘n’ Easy” by Frank Sinatra, looking and sounding every bit an old-fashioned crooner. (Waxing nostalgic for things “old-fashioned” during a performance of a song of the same name, Dave offered up the suggestion of drinking an Old-Fashioned. Not a bad idea, sir!) Dave captures Sinatra’s “tough but tender” persona well.